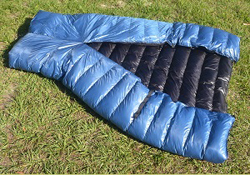 ZPacks offers solo & a twin sized quilts with 900 fill power down in their lineup of ultralight sleeping bags. ZPacks sleeping bags and quilts are made from the best quality 900 Fill Power Goose Down, and the lightest ripstop nylon shell materials. 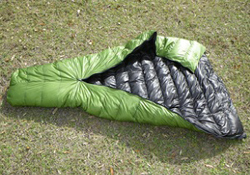 Our bags combine the best aspects of a down quilt and a down sleeping bag at a nearly unbeatable warmth to weight ratio. CLICK ON ANY IMAGE BELOW TO VIEW MORE DETAILS OR TO PURCHASE VIA MANUFACTURER.